Female cats go into heat, just like any other species, and knowing the signs can prepare you for what you might interpret as nothing but strange behavior in your pet. The scientific name for this event in your cat’s life is estrus, and it consists of specific symptoms that will tell you that your cat is fertile and can be impregnated. Pet owners are advised to become familiar with these symptoms so that they can take the necessary action for the wellbeing of their cats. Is there a specific time for cats to go into heat? Seasonally, cats go into heat in spring and fall, and you can expect the fertile female cats in your household to be influenced by other factors, as well. A cat will go into heat starting with the age of 6 months, but this can vary from case to case. There are known cases of female cats entering estrus as young as four months old, or later than usual. You can expect other factors to play a role. For instance, the presence of multiple cats in the same household can influence the frequency of estrus in fertile felines. Another thing that you need to know is that a cat will repeatedly get into estrus over the heat season if not mated and impregnated. Learning more about how heat manifests in feline pets will prepare you for what is going to happen. Another interesting fact about cats is that their chance of getting impregnated after mating is high, due to a particularity of the species. They are what scientists call induced ovulators, so the event of coupling will trigger the ovulation process. Consider spaying if you want to avoid your cat getting pregnant and giving birth to a litter of kittens. It is the only way of ensuring that such a thing will not happen. If your cat has not gone into heat yet, and you haven’t spayed her, here are the signs that will tell you that such a thing is happening to your feline pet. 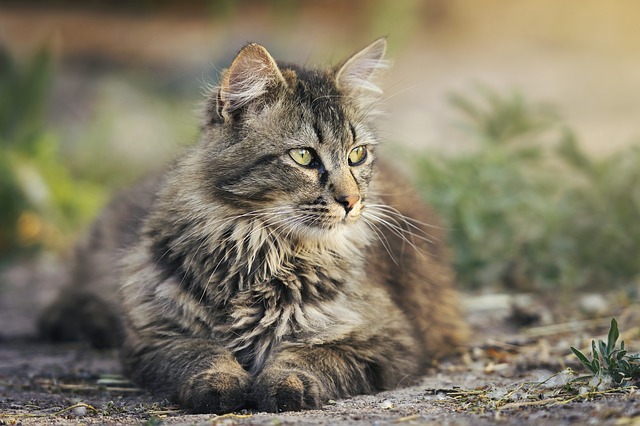 The symptoms will last for a few days or up to two weeks, and they might create some disturbance in the household, due to how the cat will manifest during this time. Cat moms and dads know how important comfort is for a feline. Whether you have already installed automatic cat water bowls in the house, and you ensure that your furry companions have everything they need, or you take them to the vet on a regular basis, comfort can mean many things. 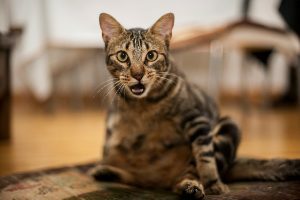 That is why the moment you will hear your cat starting to vocalize excessively, you will feel tempted to believe that something is terribly wrong. The particular meowing can be characterized by loud, high pitched and distressed sounds, and owners may believe that the cat is in pain. However, if this is something your cat regularly does, it might not be a symptom of the cat going into heat. Cats manifest their affection by rubbing against your ankles on a regular basis, but this tends to become more noticeable when they go into estrus. 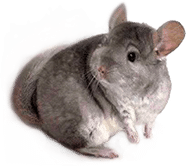 They also rub against furniture and anything else they can imprint with the smell of their scent glands that are located on their cheeks, tail, and rear. This is their way of communicating that they are searching for a mate. When they go into heat, cats will manifest in certain ways. The estrus posture, for instance, involves the cat rising her rump and leaning forward. You should not mistake this signs for other health issues. However, if you want to make sure that your cat experiences as little distress as possible, it is never a bad idea to treat it for other ailments. 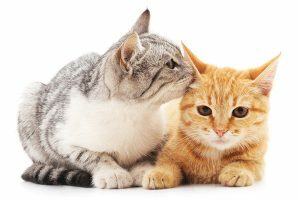 Choose cat flea treatments and other medications with care, and ask your vet about what you can do to reduce the distress of your cat during the heat season. Another thing that you will notice your cat doing that she doesn’t usually do is typically a specific movement of the tail. The tail moves to one side, and the purpose of this reflex is to ensure easy mating. Indoor kept cats do not usually want to go outside, but when the estrus strikes, they will start trying to get out. Make sure that your cat doesn’t escape by accident, as you will not be able to stop an accidental mating. 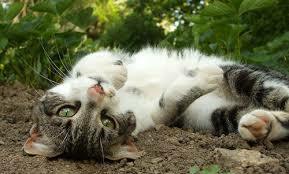 A cat in heat will tend to lick the genital area compulsively, to reduce the distress she experiences. However, bear in mind that this symptom may also be encountered in the case of urinary tract infections. If you suspect such a problem, talk to your vet about the possibility to get proper care for your cat. Sometimes, cats may like to crawl on the floor, but, when in heat, they tend to do this more often and for longer times than usual. Vets call this ‘commando crawling’ as the movement does resemble the way trained soldiers would navigate a conflict area for concealment purposes. While you may expect male cats to do this when they are marking their territory, female cats may do the same thing. It is part of their strategy to find a mating partner and a natural process. Of course, knowing so doesn’t make this process less disruptive for your household, as you will have to clean after your cat more than usual. The most important recommendation would be to spay your cat. If your cat is in heat, you can ensure some extra comfort to help her get over her estrus. One way of doing this is by playing more with your cat and showing her more affection. A good idea would be to use some cat toys to distract her attention. Also, keeping her away from other cats, if possible, can alleviate the intensity of the symptoms.